The homicide beat in Louisiana isn't just terrifying, it's demonic. 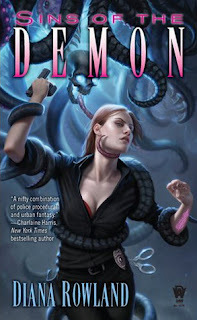 Detective Kara Gillian of the supernatural task force has the ability to summon demons to her aid, but she herself is pledged to serve a demonic lord. And now, people who've hurt Kara in the past are dropping dead for no apparent reason. To clear her name and save both the demon and human worlds, she's in a race against the clock and in a battle for her life that just may take her to hell and back. Kara has had a lot thrown at her in the past year, but she's learning to cope with it the best that she can, especially the heavy demonic influences, with her ties to the demonic lord, and her demon protector/roommate. Even worse, someone keeps trying to summon her to the demonic realm, a fate she wishes to avoid at all costs. Then things get even trickier when her latest case becomes the first of many mysterious deaths with one thing in common. Kara has reason to hate them all, putting her front and center in suspicion. What the rest of the police force doesn't know is that they deaths are linked by another thing, the Arcane. In between demonic attacks and summoning attempts, she'll have to get to the bottom of things fast before her time runs out. It really amazes me how much Kara has grown over the books. Granted, it has been a while since I read the first couple of installments, but I remember her as being very closed off from everyone else, and more than a little meek and mild. Now she has her network of close friends that are in on her secret, as well as her close ties to a few demons, and the demonic lord. It is amazing how much stronger she is now that she has learned to trust others, as it in turn helped her gain confidence in herself, not only in her Arcane skills, but also in physical fights as well. It seems all those training sessions with Eilahn are really paying off, and I can only see her getting stronger. I know I wouldn't want to get on her bad side. As I was preparing to write this, I looked back over my review of Secrets of the Demon. I had talked about the somewhat love triangle between Kara, Ryan, and Rhyzkahl, and how I was starting to get frustrated with Ryan. It isn't often that I change "sides" in a triangle, but this series seems to be one of those rare cases. What amuses me now is that most of the things that were pushing me away from Ryan had actually gotten a whole lot better in this book. Yet, I still am finding myself more drawn towards Rhyzkahl. Of course he is still very secretive, but I honestly think he cares deeply for Kara, at least as much as he is able to. So for now I think I'm going to have to say I'm on his side, but who knows, maybe that will all change again in the next installment. I'm definitely kept on my toes when it comes to the two of them, and that keeps things rather interesting. After the way the previous installment ended with a shocking revelation about Ryan, I had been dying to get my hands on Sins of the Demon. I so desperately wanted to know how things were going to change, and get the story behind it all. So, you can imagine my frustration when Ryan didn't even arrive on page until chapter five, and even after finishing the book, we still don't know much more than before. Even worse, Sins of the Demon ended on one heck of a cliffhanger, to the point where the wait for the next installment may just drive me nuts. I have a feeling that there are more than a few shockers in store based on what occurred in the last few pages, but I wouldn't expect anything less. Yet again, Diana Rowland has knocked my socks off with a stellar book that left me positively desperate for more. Trust me, you won't want to miss this! I'm taking this week off for the holidays as far as reviews, but I do have a giveaway hop starting tomorrow, so don't miss that! You can win one of my favorite 2011 reads. Protecting Chicago from the dark side can be an exhausting job, especially when you’re a junior. So when the girls of St. Sophia’s start gearing up for Sneak, their fall formal, Lily decides to join in on some good, old-fashioned party prep—even if it means not giving demons, vampires and the twisted magic users known as Reapers her undivided attention. Even though Lily has only been "fighting the good fight" for a few months now, she's about had it up to here with all of it. So, in an effort to do something completely normal, she signs up to help with the party prep for the school's fall formal, Sneak. Of course she can't give up her protection detail completely, so when a Reaper is spotted on the school groups, Lily steps up to ward him off, only to find that her magic is gone, as well as every other adept's in the city. She will have to use every resource possible to get to the bottom of things, regardless of what her friends think of her methods, as they are all sitting ducks. I was very happy to see Lily start to really think for herself in Charmfall. Prior to this point she has been blindly following the Adepts, and their creed that all Reapers are evil, soul sucking beings, making everything black and white. However, her reaper "frenemy," Sebastian has been trying to open her eyes to all the shades of gray there are in between. Of course she realizes that he probably has an ulterior motive, but that doesn't stop her from accepting his help with certain things. Unfortunately, the rest of the Adepts don't quite seem eye to eye with her on this, which causes a whole lot of tension. Yet, she didn't back down, and stood behind her beliefs in finding the truth, rather than blindly believing what anyone has told her in the past. This may be a little bit of a stretch, but I have a feeling that in time, Lily will do a whole lot of moving and shaking, and could potentially be the one to change the whole system. I guess only time will tell. 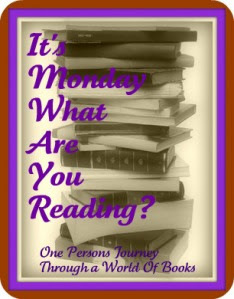 If you have read my reviews of the first two installments in this series, you'll know that I enjoyed the books, but not without a good bit of frustration. My biggest problems were a lack of forward momentum and an unclear plot. After finishing Charmfall, I actually breathed a sigh of relief because things are really starting to head in the right direction. It didn't take long at all for the action to pick up, and it was clear from almost the very start what the big issue would be, making for a much more engrossing read than the previous installments. However, I do have to admit there was one factor that disappointed me. I had been expecting to find out more about those "rat" things from Hexbound, as nothing was really revealed about them other than they were made by the Reapers. Also, we still do not have any new information about Lily's parents, and I am still incredibly curious about that situation. I'm hoping that the next installment comes with a good bit of information to help assuage my curiosity, but then again they did say that's what killed the cat. Despite my frustrations in the past, I feel like Charmfall has erased all of those problems and given the series a fresh, new start. It was a perfect blend of action, romance, mystery, and character development, to make for a very entertaining read, and I'm very excited to see where things lead next. If you are a fan of Lily's adventures, then you won't want to miss this action packed installment. Lily had thought her life couldn't have gotten more turned upside down than it did when her parents sent her to St. Sophia's. She was wrong. Now she has to deal with powers that she doesn't know how to control, and fighting against the Dark Elite or Reapers, all the while trying to keep up with the school's rigorous curriculum. Of course there is a bright side to all this as she met a cute boy for her affections, but of course he has his own secrets as well. Meanwhile, a member of the opposite team corners her, leaving her with more questions than she can handle as the lines between good and evil get blurry. 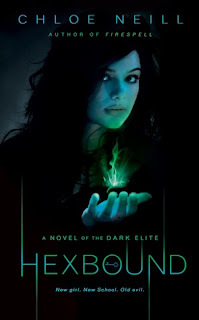 I having a hard time deciding how I felt about Hexbound, and this series in general. In the first book, Firespell, I had an extreme case of plot deja vu. It just felt like the same story I had heard countless times before. However, about halfway through things started to pick up and spark my interest a whole lot more. So, when starting Hexbound I was disappointed to see that yet again, the beginning was very slow. To make matters worse, not a whole lot of time has been covered, making the series have a lack of momentum, or at least it really feels that way to me. Unfortunately, when things finally started to pick up, I realized that although there was more action, there wasn't really a substantial plot. In fact it felt more like a set up for the future, adding to my lack of momentum feeling. That all being said, I do very much enjoy the characters in these books. I love seeing things through Lily's eyes as she is going through the growing pains of her new powers as well as all the secrets surrounding her parents. (On a side note, that was another disappointment for me, as nothing was really revealed there.) Scout adds just the right amount of wit and sarcasm to lighten up things just the right amount. Although, she herself is dealing with some things on her own, making me thoroughly impressed at how she was able to keep herself almost as cheery and spunky as always. As far as the love interest, Jason, I was glad to see more of the interaction between him and Lily, making the romance a little more established rather than the forced feeling from before. However, some reveals were made that may just threaten things, and when you combine that with the hints of a possible love triangle, this series is threatening to turn me into a cranky blogger. Its funny how as I'm writing my review, more and more things are popping out to me as issues I had with Hexbound. However, as I was reading it, those things didn't seem so terribly bad, so I was able to enjoy it while reading it. So, while those issues are there, they aren't so horribly "glaring" to ruin the book, but that could easily change in the future. I'm really hoping for some concrete action as well as some definite forward momentum in the next book, otherwise I can see myself easily losing interest in this series. That would be a shame, because of the great characters, and the potential behind it all. In the end I can honestly say I enjoyed Hexbound, and sometimes that is really all that matters in the end. From the author of the Chicagoland Vampires novels. When Lily was picturing her last two years of high school, she never would have guessed that she would be spending them at an extremely exclusive boarding school for the whose who of teenage girls. As she befriends one of her roommates, Scout, Lily starts to notice some pretty strange things happening around the campus. Funny thing is that they all seem to center around Scout and her mysterious disappearances. Lily learns the hard way that there are things that go bump in the night and she'll have to find a way to bump back. Or else. 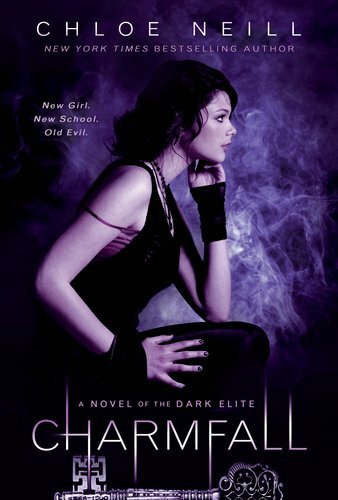 I'll admit that the first half of this book gave me a sense of deja vu as it is like so many other YA books out there. Girl gets sent to a new school, she is tormented by the "mean girls" squad. She then befriends the outcast and finally some sort of paranormal element ensues, which of course leads the girl finding out she has some special power/skill/destiny/etc. However, I do have to give Firespell credit where it is due that the paranormal aspects felt very fresh and unique. I especially enjoyed the part about the paranormal powers/skills come with a cost. So many books have things come a little too easy to be realistic, making me very happy to see Firespell differ in that area. So I guess in the long run I can mostly forgive the "formula" beginning, even if it made for a very slow start. It seemed a little odd to me that Lily didn't question her parent's decision to leave her behind when they went to Germany supposedly for a two year sabbatical. This instantly threw a red flag up for me because Lily described them as very close to her. Their reasoning of wanting her to have an American education seemed to be a paper thin cover for something else. However, I will say that I found this mystery to be quite intriguing and the desire to know the truth furthered my enjoyment of the book. Unfortunately, we really do not have any answers yet, but I am hopeful for some revelations to come in the next book. 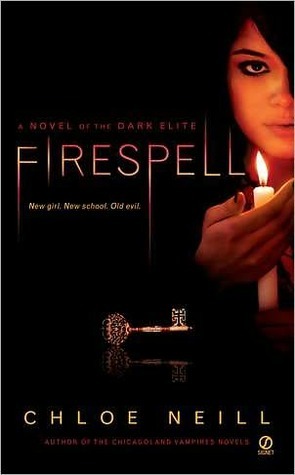 Despite my difficulty in attaching to the story until late in the book, Firespell was still a pretty solid read. 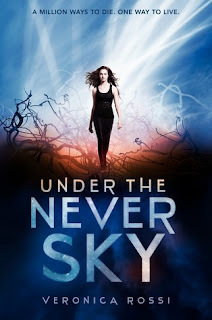 I'm a big fan of Chloe Neill's Chicagoland series, and I thought it was more than time to try out her YA series. While at this point I cannot say Firespell quite lived up to my expectations, I do think there is plenty of potential for the next few books to really wow me. I guess I'll just have to wait and see.